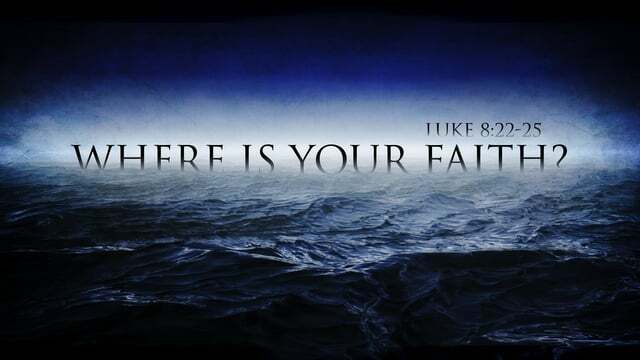 Blog Where Is Your Faith? Where is your faith, I ask. What do you believe? Let Me be your faith, says the LORD. Let Me be your trust. Let My counsel be in you and forsake the counsel of man that is fallible. I cannot fail and you will know that I Am the ALMIGHTY GOD in the midst of you as you shift your dependency from man that will die to Me that is the LIVING ONE. I Am a promise keeper. I never look for a reason to go back on My Word or break covenant with you. I will bless My people with peace and I will meet their needs, says the LORD. Look to Me and trust in Me as your Great Shepherd that will supply you, says the LORD. For you do not have to plead your cause. I will plead it, says the LORD. I will do it for the honor of MY own NAME. You will not need to howl and wring your hands in My presence, for it is already My desire to help you, to hold you in the palm of MY hands and to keep you sure footed and steady. I will make a way for you where there is none and help you when there is none to help. For I love to wow you with what I can and will do as you trust in Me at all times. Let Me do what you cannot do, what others cannot and will not be able to do, and watch Me work in the midst of you. TRUST and OBEY MY VOICE, for I am speaking comforts to you and will bring you out of troubles that are on every side and show you that I Am unlimited and not subject to any power. I will give you grace and glory and help you, and bring you into green pastures where none shall spoil you and frighten you as I shield you with My own right hand and cover you with My feathers, says the LORD. 34 Responses to Where Is Your Faith? Help me lord. that spirit. of slumber will be destroyed . Thank you LORD for taking good care of me. I’m trying so hard Lord who created the heavens and earth. Help me to put all my faith in you. Remove this spirit of fear. I have failed you tremendously Father. I don’t know what to do. I feel I’m losing all sanity. Help me please. Hallelujah to the Lord in Jesus precious name! Thank you Lord for doing everything you said you would do. One day at a time, moment by moment.